Showcase the strength, power, and beauty of an equine. 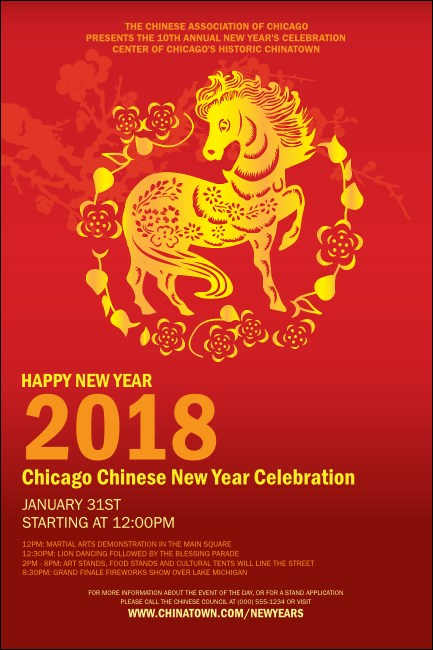 Promote your celebration with the Chinese New Year Poster. With a big, intricate design of a horse in the middle, this template has a rich red background and orange text. Combine with matching invitations and tickets for a seamless event. Celebrate your special occasions with the right design from TicketPrinting.com.